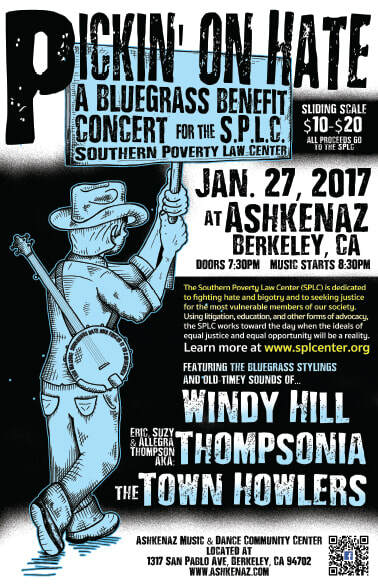 Pickin' On Hate is a Bay Area effort created and organized by The Town Howlers to bring together the thriving community of bluegrass musicians and fans to raise funds and awareness in support of tolerance. At our 2017 benefit, we raised over $3,000 for The Southern Poverty Law Center. At our 2019 benefit, we raised over $1,700 for TransLifeline.